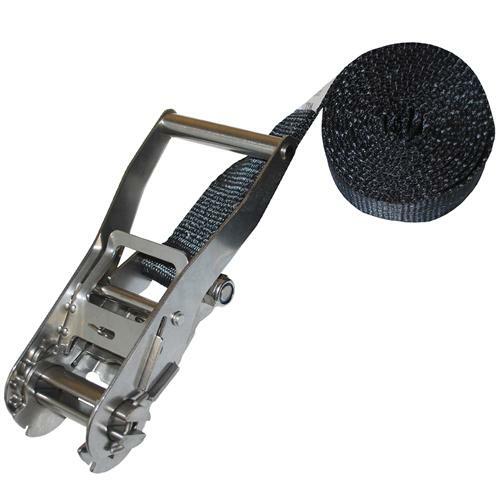 These Stainless Steel Endless Ratchet Strap are versatile and easy to use. There is a passive layer that protects when rust starts and also stops rust from penetrating to the core of the steel. This keeps all the moving parts working. They are used just like a belt on your pants; wrap the strap around the object and pull the webbing through the ratchet and crank to tighten it. These endless tie downs can be used in a wide variety of applications. You can choose the length of this strap and color of webbing.